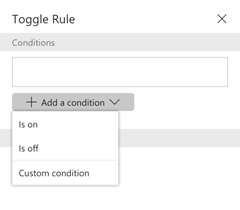 The rule panel will now provide smarter recommended templates while adding a new condition. 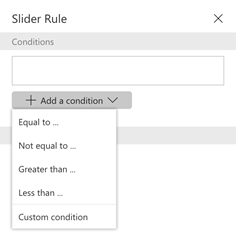 For example, while authoring a rule for a slider, PowerApps will recommend templates like “greater than” or “less than” because it knows it is applying a condition to a number input. Whereas, if you create a rule for a toggle, PowerApps will simply recommend “is on” and “is off” as condition templates. 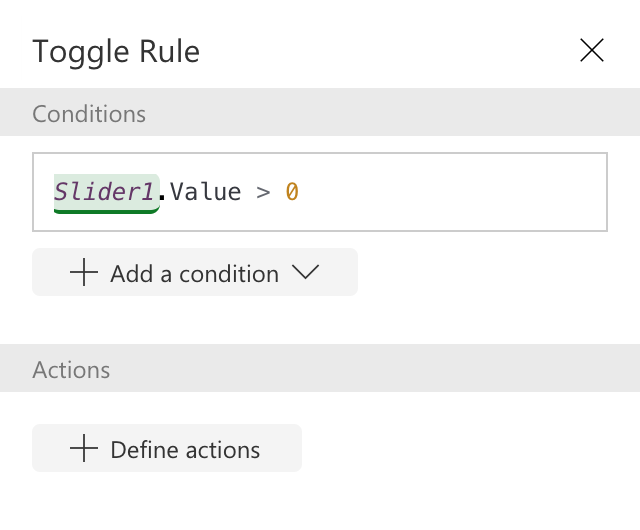 To further improve the rule creation experience, PowerApps will now infer common properties of the control (such as Text or Value) and include them in the condition expression. 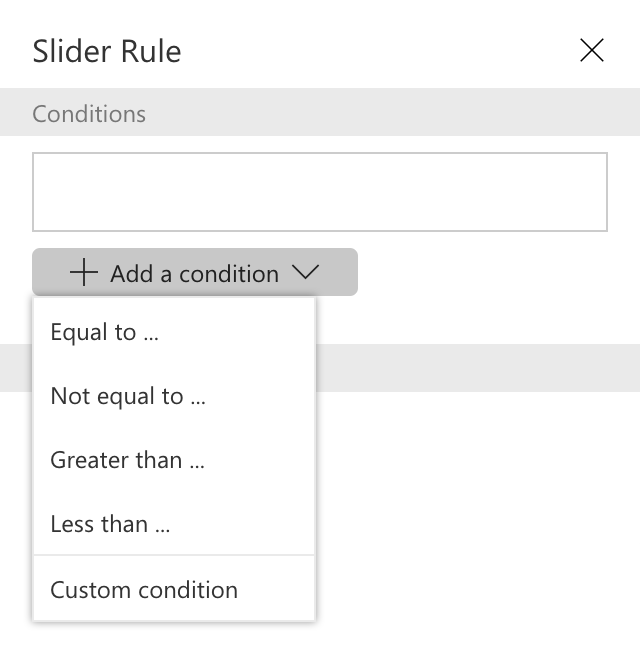 For example, selecting the “greater than” template for a slider control will automatically grab the Value of the slider. 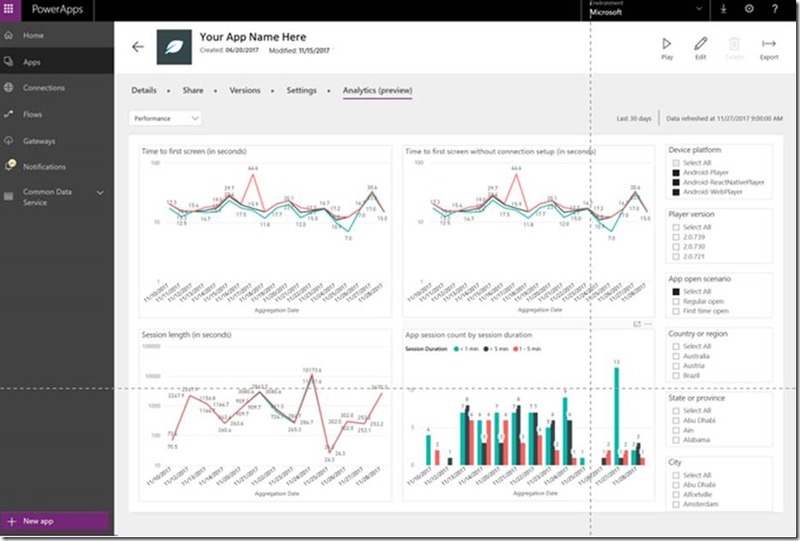 To get preview access and to learn more about the app performance report, check out its dedicated blog post. 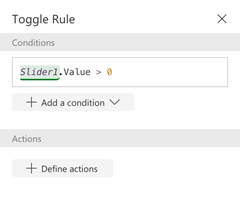 And as always, please join the conversation in the PowerApps community as we would love to hear from you about how you are using these improvements and what you would like to see added in the future.